Editor's Note: This article was originally published in May of 2014. It was updated in July of 2015 for accuracy. Lead generation remains a natural focal point for those seeking to develop new business opportunities as a realtor. But, it’s largely the degree to which you successfully engage with your incoming leads that determines whether or not you’re able to convert them into new clients at their moment of intent, and ultimately increase your closings. 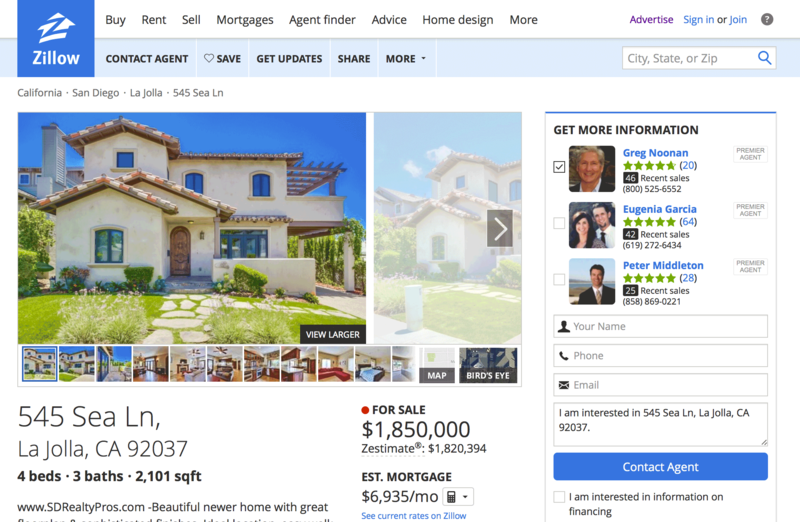 In November of 2013, we announced our partnership with Zillow. In short, our mutual goal is to increase the value of your individual leads - by increasing the likelihood of converting each lead into a new business opportunity. And so, we built a specific set of product features to support realtor leads generated with Zillow. The Premier Agent Program gives agents everywhere an opportunity to gain online exposure and generate local buyer leads (example screenshot below). Effectively, our partnership with Zillow enables our joint customers to seamlessly import the leads they generate through the Premier Agent Program into Zurple. This is where the magic happens. Scenario: You generated 50 leads from Zillow last month – 3 were immediately transaction-ready, but the other 47 were not. How did you efficiently and accurately identify the 3 transaction-ready leads? What did you do with the other 47 leads? GOAL 1: Increase the percentage of incoming leads who answer your initial phone call so you convert more leads into clients on your first couple of attempts. This goal ensures that, as in our scenario above, you’re able to efficiently and effectively identify those transaction-ready leads with consistency over time. As more and more buyers express frustration at not receiving timely communication based on property inquiries, having a system in place to intelligently handle incoming inquiries at any volume is a necessity in today’s market. Many realtors rely on things like drip email campaigns or monthly newsletters to keep their lead database engaged. The truth of the matter is that this simply isn’t effective in today’s world. 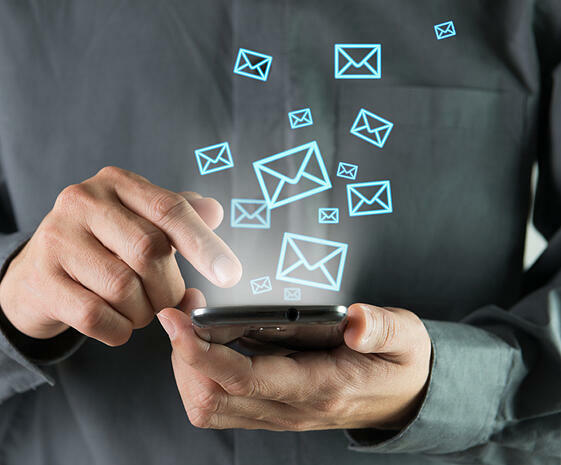 Messaging – and in particular email messaging – needs to be relevant, timely, insightful, and personal to be effective. Otherwise, you’re encouraging your leads to treat your emails like spam (not the delightfully refined meat-like product SPAM – the annoying email kind). It’s likely that your realtor leads aren’t inherently exclusive by nature. That is, before they have developed a trusted relationship with you, which takes time. So, it becomes critically important to encourage the leads you generate to interact with your website (where you are the only featured agent on the other side of a property inquiry). In doing so, you can also provide Zurple with behavioral insights that will drive even more targeted and relevant conversation automation. Our goal is to lead the industry by providing the most effective and modern lead conversion solution for real estate professionals. We've used this focus (and lots and lots of data) to create beautiful, mobile friendly agent websites, optimize thousands of lead follow-up messages that generate valuable replies and enhance your lead's experience by adding timely, relevant new messages to our software - making it more powerful and effective than ever before. If you need more seller leads, check out our new seller lead generation program. By leveraging both Zillow and Zurple, you're positioning yourself to spend more time doing showings and less time doing research, marketing, and manual follow-up. If you’re a current Zillow Premier Agent looking to maximize the value of your lead generation efforts, follow the link below to request a demo of Zurple and Zillow working together and to have any questions you might have answered by a Zurple team member.